Now that the greatest snack day of the year is over, what will you do? Put a lid on it and wait until football season starts again? Nah. How about: put a lid on it, and keep it on the table, adding to the permanent decor of the living room? That’s the way to go for any true fan. A lid on what? 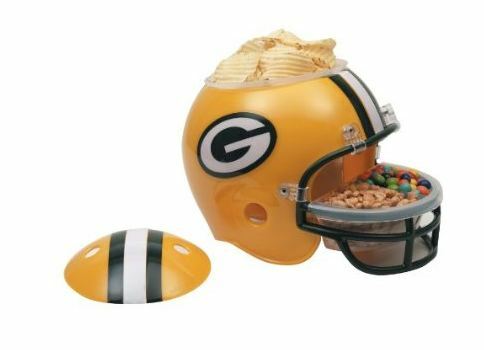 Why, the Green Bay Packers Snack Helmet of course. Hats off to the Green Bay Packers for winning the Super Bowl!